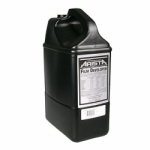 The Arista Premium line of chemicals are some of the most concentraated chemicals on the market. You get more for your money with Arista Premium. The Arista Premium line of chemicals are hypo-allergenice formulas, most phenidone based. 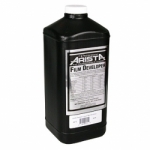 The Arista Premium Liquid Film Developer is an excellent phenidone-based black and white film developer that is a long-lasting and hypoallergenic formula. This is a fine grain developer suitable for push processing.